Featuring 800 feet of vertical slope, this is a classic place to go and get an introduction to the snowy tips of Cody Peaks. Perhaps one of the most varied terrains, this area is frequented by locals and visitors alike who want to experience the thrill of downhill skiing as well as the calm of open powder fields. Properly named, this couloir offers a steep, hour-glass shaped entrance that traverses down the exposed mountain side and leads directly into another famous slope, the next on our list. A slope that commands respect, No Name has what the experienced skier is looking for. Padded by a sustained slope with a handful of low cliffs to air, this is an excellent place to get some modest air with an unforgettable descent. 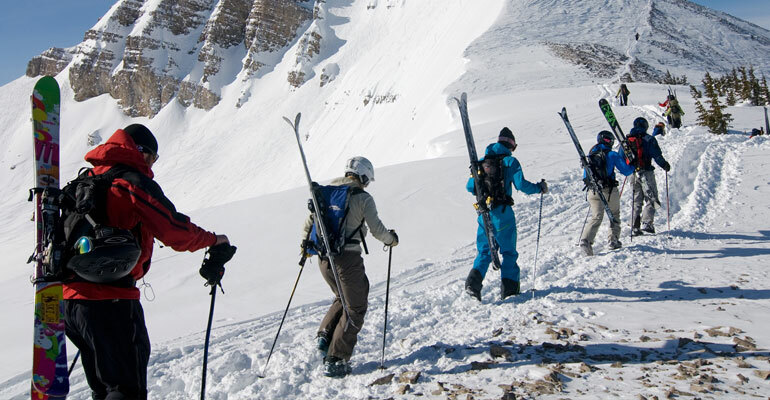 If you are interested in learning more about the many slopes around Jackson Hole, click here to learn more.